Research about microplastics pollution is just starting to emerge among scientists, but it is a major concern. You may recall attention focused on banning or advocating for the discontinuation of tiny plastic particles in the form of microplastic beads from cosmetics, toothpaste and other consumer products often too small to be filtered by wastewater treatment plants. 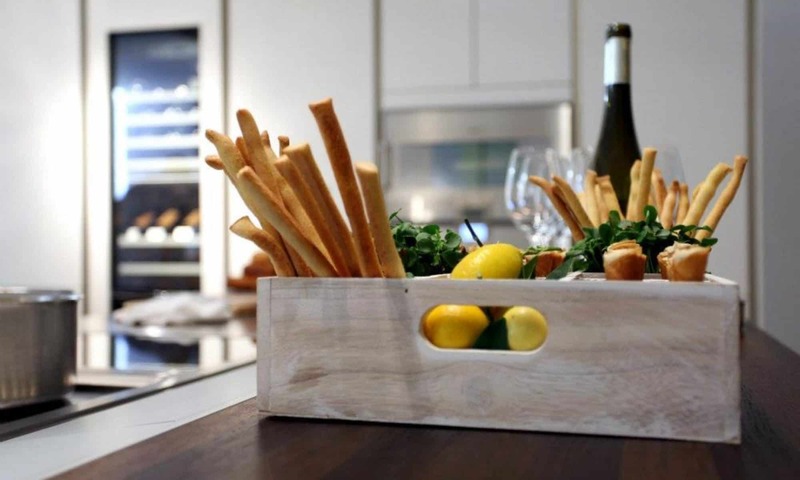 This could be the ultimate addition to your closet or laundry room. The LG Styler is designed to refresh clothes without detergents, while reducing wrinkles, removing odors, and sanitizing garments. LG Styler is ideal for items that are delicate, cumbersome or otherwise less-than-ideal to tumble in your dryer. The Sanitary cycle powered by TrueSteam helps to reduce household allergens and dust mites for family members who have allergies and sensitive skin. If you own a lot of garments that you drip dry and are tired of seeing them hang from every possible ledge, you’ll appreciate the Gentle Dry setting. 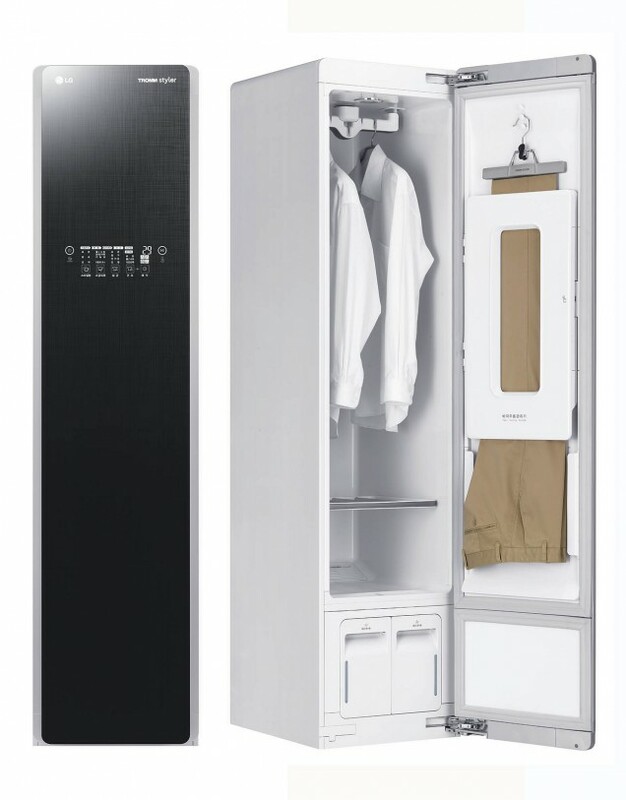 The Styler’s low temperature drying system dries clothing and delicates much faster than air drying. 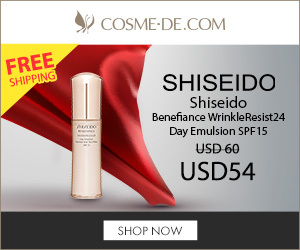 The “Refresh” setting, available in Light, Normal and Heavy, enlists steam to remove wrinkles and you can stick a dryer sheet in the built-in “aroma” compartment to help mask odors. 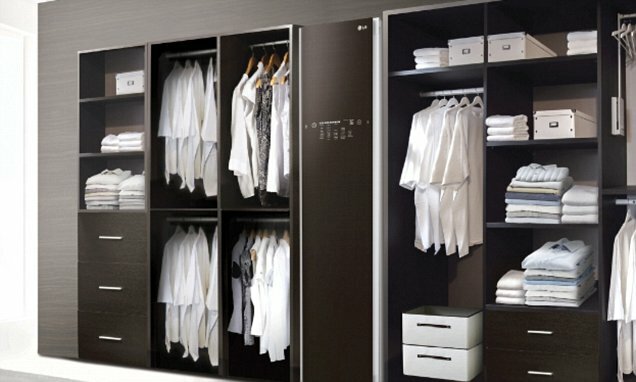 The unit comes with special hangers that fit in notches on the clothes rod that is designed to shake. Moving Hanger Action gently shakes steamed items to remove everyday wrinkles. The Easy Pants Crease Care feature is capable of refreshing and creasing a pair of dress pants in just thirty minutes. Night Care is an extra heavy sanitizing setting. It runs the Sanitary Heavy cycle and then dries periodically every hour for an additional eight hours. The Air Fresh cycle gently removes moisture and dust from fur, leather, and silk without damage. The LG Styler is rated for 120V, 12.5 Amps so it can plug in almost anywhere. 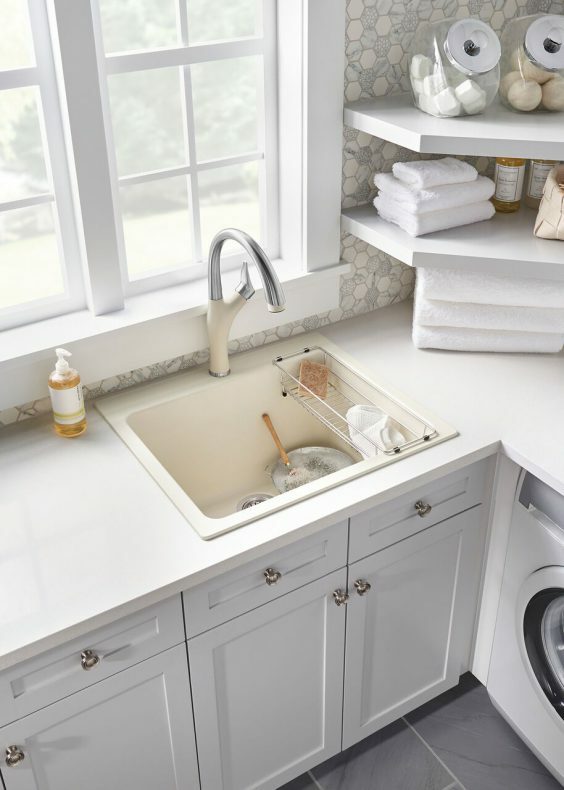 This can be especially handy if your laundry room is on the other side of the house. The water for the steam is held in a reservoir so no plumbing is needed. A separate reservoir catches the steam as it cools and will require emptying. 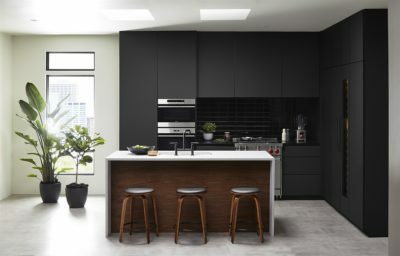 The unit is 17 ½” X 72 3/4” x 23” and requires 2″ clearance on the sides so it can’t be built-in like an integral refrigerator. Smart Diagnosis alerts users via NFC when the unit requires maintenance or repair. 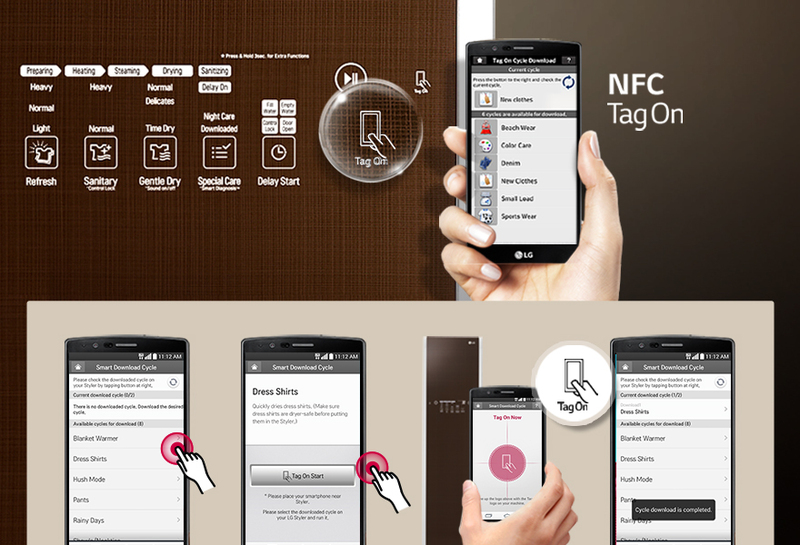 With NFC Tag-On, owners can install a free app and download customized cycles specific to a garment type and program the Styler with your phone. A larger commercial unit will be available the latter half of 2016. 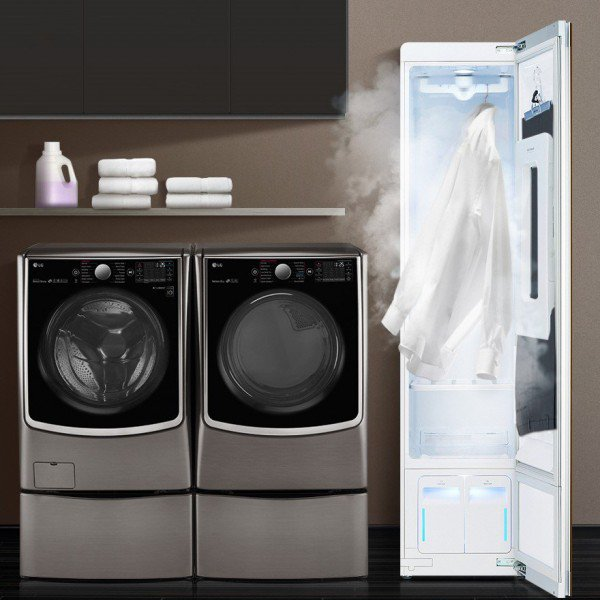 If you thought the new Samsung ActiveWash was pretty cool just wait…there’s more. LG has also debuted a washer at the International CES 2105 show with a new washer category of their own. LG’s revolutionary TWIN Wash System enables two separate loads to be washed simultaneously with a space-efficient mini washer located in the pedestal. The new washer is compatible with any front-loading LG washing machine, including older models. This means you to can wash lights and darks at the same time, or simply pop a smaller delicate load into the mini washer to save water and energy. Despite its small size, the mini washer uses the same “Slim Inverter Direct Drive” motor as bigger machines, so it delivers the same cleaning power, according to LG. 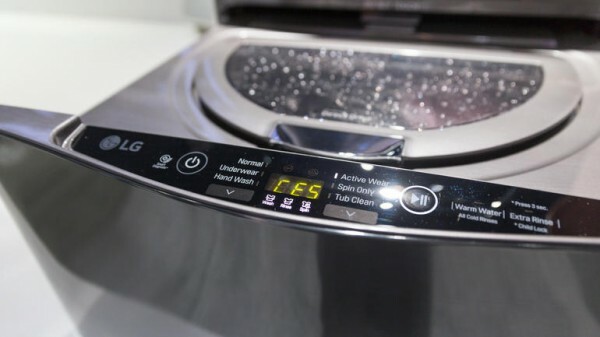 In addition to speed and efficiency, LG wants to stay at the cutting edge of connected tech with its washers and dryers as well. 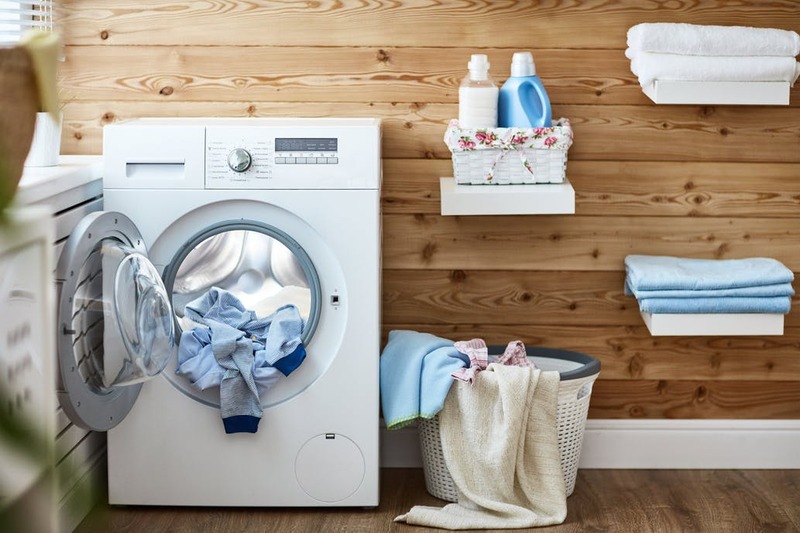 The new washer comes with NFC and WiFi connectivity, allowing users to upload special washing cycles, monitor those cycles, and receive alerts when the load is finished. 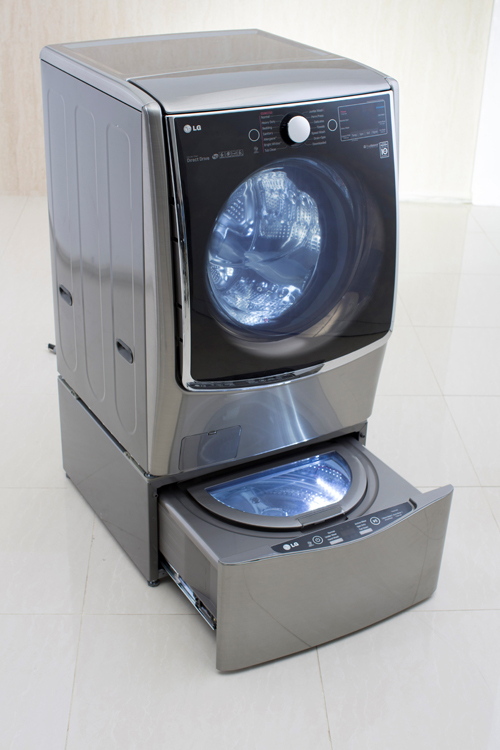 Although not confirmed, look for the TWIN Wash System in May 2015, the mini washer (WD100C, WD200C) will retail for $499. 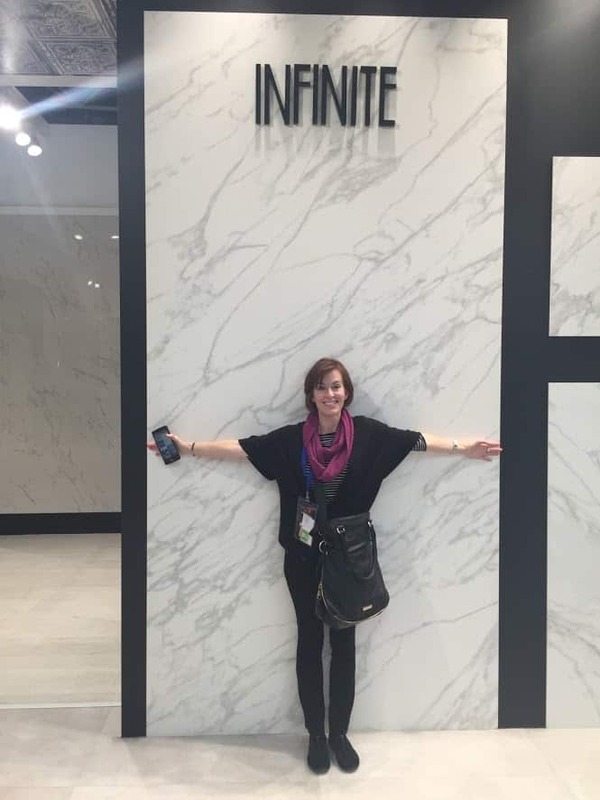 To learn more about other new laundry products from LG shown at CES 2015, visit their press room. Here.